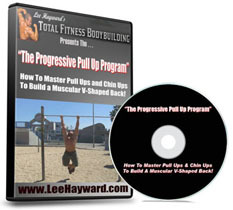 Hi Lee, What would you suggest for a “hardgainer” or non-responder to training? Eating more and lifting heavy doesn’t work for me. I just get a bloated belly and aching joints. I’ve been lifting for more than 5 years consistently and don’t have a lot to show for it. 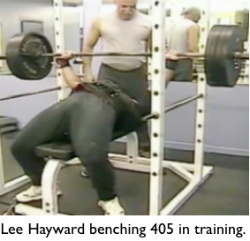 When it comes to bodybuilding, simply lifting heavier isn’t always the best approach. While it’s true that you need to train in a progressive overload fashion, you need to focus on quality over quantity. If you try and lift heavier and heavier all the time, eventually you’ll get to the point where you are placing more stress on your joints, tendons, and ligaments rather than the specific muscles that you are trying to isolate. You need to lift “light enough” so that you can maintain the mind muscle connection with each set. 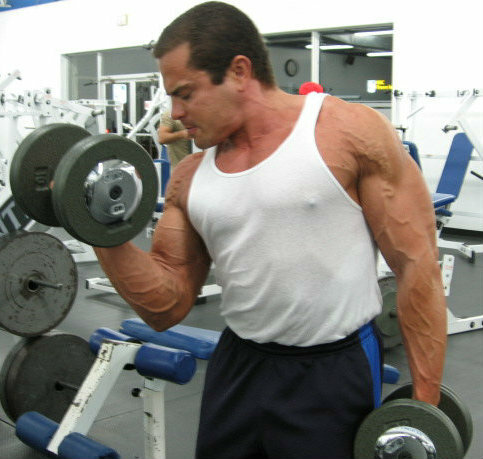 As you are performing an exercise you need to be able to feel the muscles stretch and contract with each repetition and get a good pump. If you are just feeling sore joints when lifting weights, then that’s probably a sign that you’re lifting too heavy for bodybuilding. Try reducing the weight, focus on quality training using strict and controlled form, and gradually build the weights back up slowly over time while maintaining that mind muscle connection. When it comes to your muscle building diet, you should treat it the same as you would a fat loss cutting diet. Eat mostly natural unprocessed clean healthy foods such as; lean protein, lots of vegetables, complex carbohydrates, healthy fats, etc. Be consistent with your meals and eat clean, just like you would when dieting for fat loss. The only difference is that you’ll increase your portion sizes so that you’re in a slight caloric surplus to provide your body with the nutrients it needs for building lean muscle. A big mistake that guys make when trying to “bulk up” is that they eat way too much food, very often a lot of processed foods and junk food, and will justify it because they are ‘trying to gain weight’. The problem is that most of the weight gained from eating like this is often excess bodyfat, and NOT lean muscle. You need to focus on quality lean gains, not just quantity and trying to pack on as much weight as fast as possible. How far you can go with bodybuilding is ultimately determined by your genetics. Some people are just naturally bigger, leaner, and more muscular than others. Some people will respond better to exercise & nutrition than others. And while it may seem unfair, that’s just the way things are. To show you what I mean, just look at the picture below of former Mr. Olympia Dorian Yates. This picture was taken after only 9 months of training. With less than a year of training he is more muscular than most guys who have been training for 10+ years. This the result of proper training combined good genetics for building muscle. Now regardless of your genetics, improvement is always possible. Pretty much anyone can build some muscle, lose bodyfat, and improve their fitness level with proper training and nutrition. But not everyone is going to go beyond the norm and develop a muscular physique like that of a pro bodybuilder or physique competitor. A lot of us are comparing our gains to that of top level bodybuilders and athletes. And while it’s ok to look to these people for motivation and inspiration, they may not always be the best example of what’s realistic for you. Now please don’t take this the wrong way, I’m not trying to crush your hopes and dreams of developing a big muscular physique. 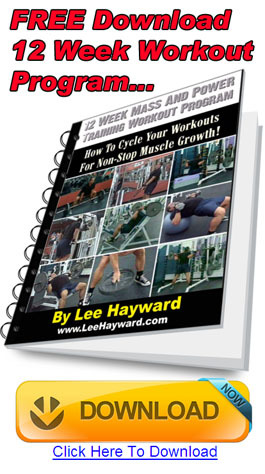 Some people reading this right now may very well have great muscle building genetics with the potential to reach the highest levels in the sport of bodybuilding. But the majority of people reading this are going to have “average” genetics, and this will limit their ultimate potential for building muscle. I’m a prime example of this, while I love the sport of bodybuilding and have been training for many years, I don’t have pro caliber genetics. Regardless of what I do, I’ll never be able to take my physique to the pro level and compete on the Mr. Olympia stage. 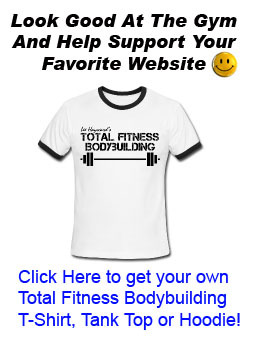 And that’s ok, you don’t have to be a pro in order to enjoy bodybuilding and reap the benefits that living a healthy bodybuilding lifestyle provides. We all have different body types and certain people are better built for different physical activities. For example, some people exceed at endurance sports like running and cycling. Others may exceed in power sports like weight lifting and powerlifting. While some may exceed in sports that require a combination of different physical skills like basketball, soccer, baseball, football, etc. After a few years of training you’ll know based on your results if you are genetically built for bodybuilding. And if you are, then go for it and pursue the sport of bodybuilding with your best effort. But if you are not genetically built to be a bodybuilder, than try and find the sports and activities that are best suited for your body type and pursue them. Either way you can still enjoy the health and fitness benefits of living a healthy active lifestyle that includes weight training workouts and proper nutrition. Amazing photo of Dorian Yates. I wonder if he was using steroids already. 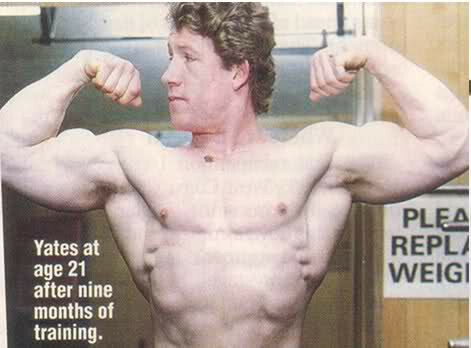 If not, for a guy 21 yo with 9 months of training, that’s just incredible. YES. Dorian Yates was using steroids, and always did. – Just like Arnold. The human body is not capable of producing THOSE type of results without synthetics, in that short of a time. Over time and strong discipline, yes. Yeah he sure was on the juice no doubt!!! 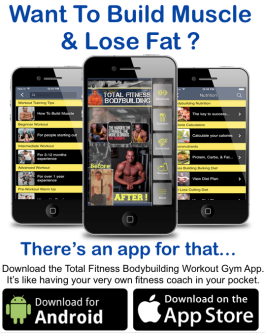 Is there any chance you can know your body type or muscle type to know what is the best for you?